Order 3.3 lbs of pilsner extract from Northern Brewer. Receive 6 lbs dark. Sterilize stockpot, 5 gallon carboy, funnel, and everything else with Star-San. Fill carboy about halfway with Tucson west side tap water. In stockpot, bring about 7 quarts of Tucson west side tap water to a boil. Stir in extract. Cook for about 20 minutes. Stir in hops. Cook for about an hour. Turn off heat. Stir in honey, molasses, and brown sugar. Pour wort into carboy and top off with water. 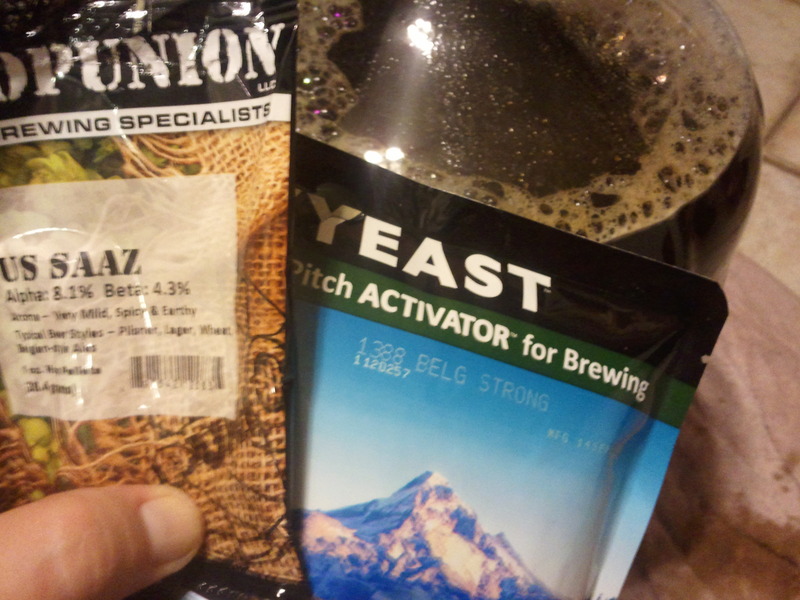 When cool, pitch in yeast. Mead still dropping, about 1.033, slightly less cloying and hot. OG of VRD (well, after several hours of heathy-looking fermentation) spot on at 1.049!